I am happy that EARCOS has published my article on Learning Spaces for their latest Triannual Journal. To read the article you can find it here. Thank you to all who came to the festival of lights concert on the 12th December 2018. Despite the rain it was a great success. With fantastic performances from all of our students. Concerts like this take months of preparation and it is a momentous achievement for students to keep their composure for it to come together on the night. The line up included individual performances of Romantic, Rock, and Musical Pieces. And the Guitar ensembles from Grade 9 and 10 who performed Somewhere over the Rainbow - Harold Arlen Home on the Range - Daniel E.Kelley Gymnopedie I - Erik Satie, Bach Canon - J.S. Bach Lemon - Kenshi Yonezu and Wake Me Up - Avicii. We look forward to seeing you at our next Musical event in March. 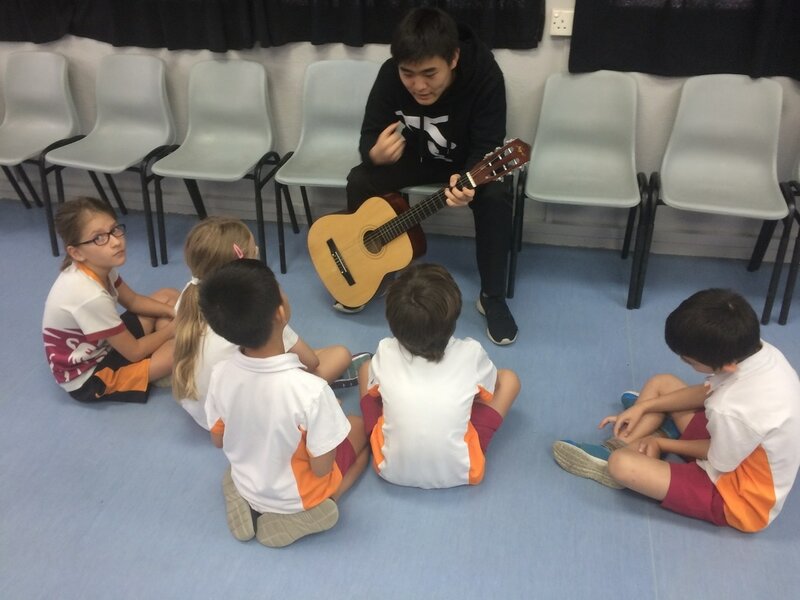 As a music teacher, I am a believer in the power of music. One of these powers is the ability to affect how we feel and our mood. Our mood can also greatly effects our classrooms, a teachers reaction contributes to how a students reacts and ultimately performs in a class. It is a simple step but works, Taking a minute or two to practice mindfulness by listening to relaxing music can help us to contemplate, reflect and reevaluate our moods. I use the music whilst marking, break time etc. 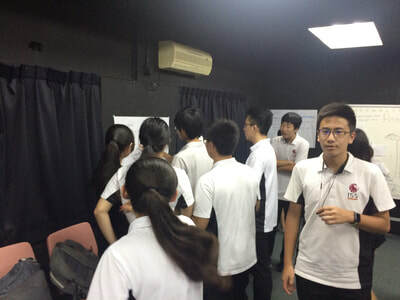 The G12 students are deep in studying their set works for the IB exam. Having completed the study of the Bach Brandenburg concerto. 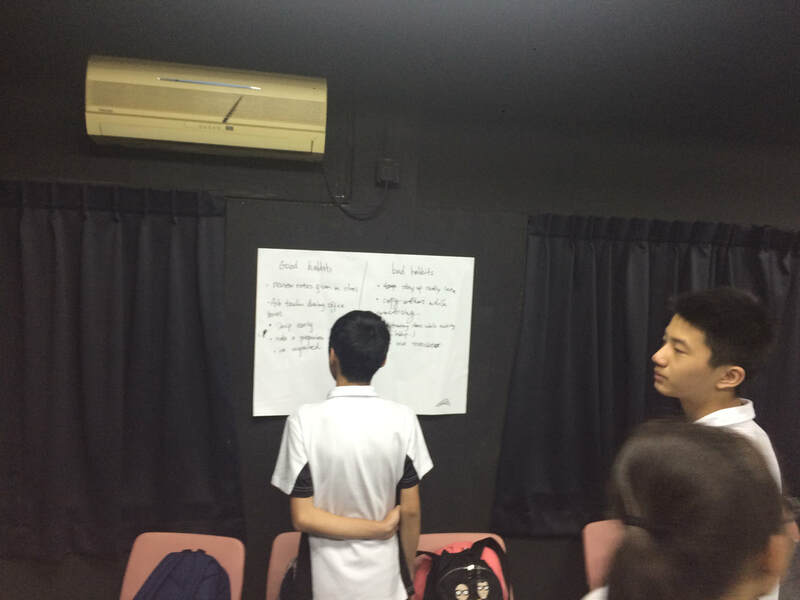 I thought it would be useful to do some open book exam questions with the G12 students and how to approach the section A question. This is quite a general explanation of how to approach the question. 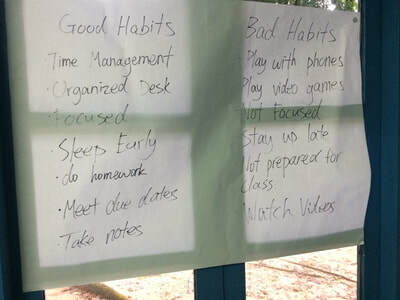 However, the simple steps should help students develop their practices and focus their time when in a pressured environment. Time Management. This is important when answering the question. You should practice and learn to give each question the same amount of time. This is 30 minutes for each question. Focus on what the question is asking you. Is it asking you to look specifically at a certain section of the music. Has it used specific musical terminology? What do you understand from the specific music terminology given? Highlight any key words, you may want to use them in your answer to demonstrate you have understood the question. Find examples from the score, back up your ideas. Keep refering back to the question. This will keep your focus on what the question is about. Check your music terminology, question if you are using the right terminology to explain your ideas. Draw a conclusion/conclusions. Make sure you are refering back to the question. 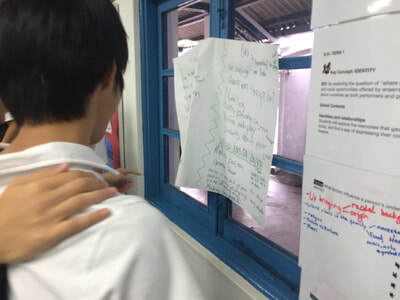 Leaving the exam room do not dwell on what you have written. It is in the past, you can be safe in the knowledge you prepared the best you could, and you gave it all of your effort. This week has been busy once again. 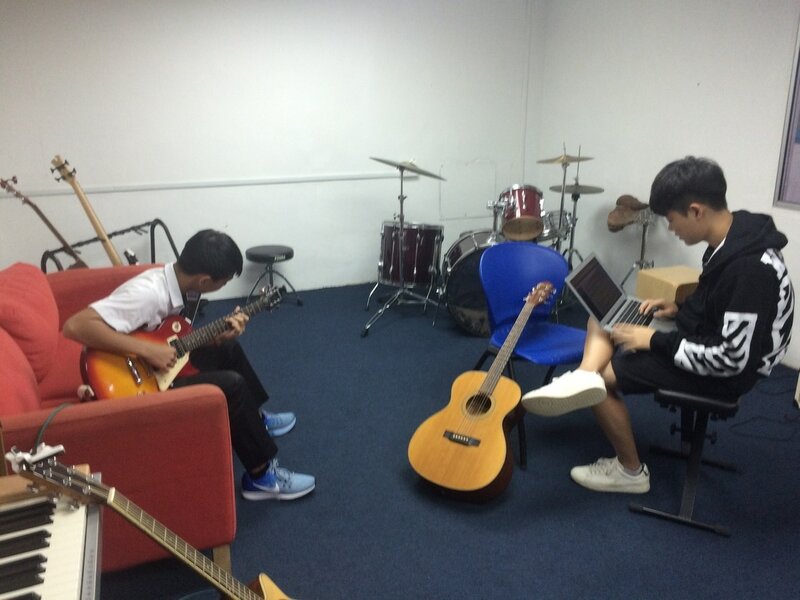 The Music room is looking great especially with the redesigned practice rooms which are getting more student use. 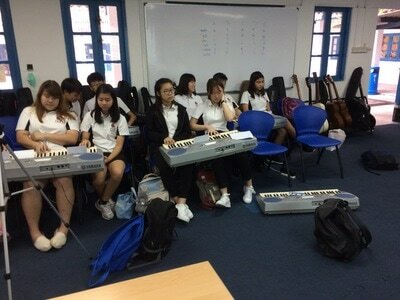 The G10 students are continuing with their Keyboard Skills. 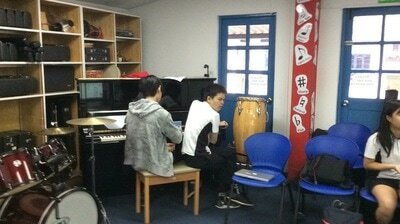 They are starting from the beginning of their instrument skills and thus developing accordingly. Happy New Year. With the festivities. This week had only with only 2 teaching days and two training days. The first training day included looking at emotional intelligence with Dr Sarah Whyte. Dr Sarah was a clear expert in her field. 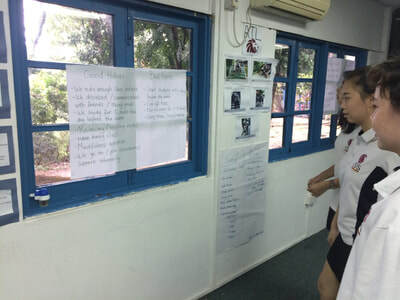 What was interesting was how to understand how and why students react the way we do and how we can react in turn as teachers. My favourite Metaphor from the day was that "Teachers are the Weather in the classroom, we can make a place sunny and bright or create a storm where everyone gets wet"
The second part of the day included mindful practice and exploring how we can use mindfulness in the school environment. 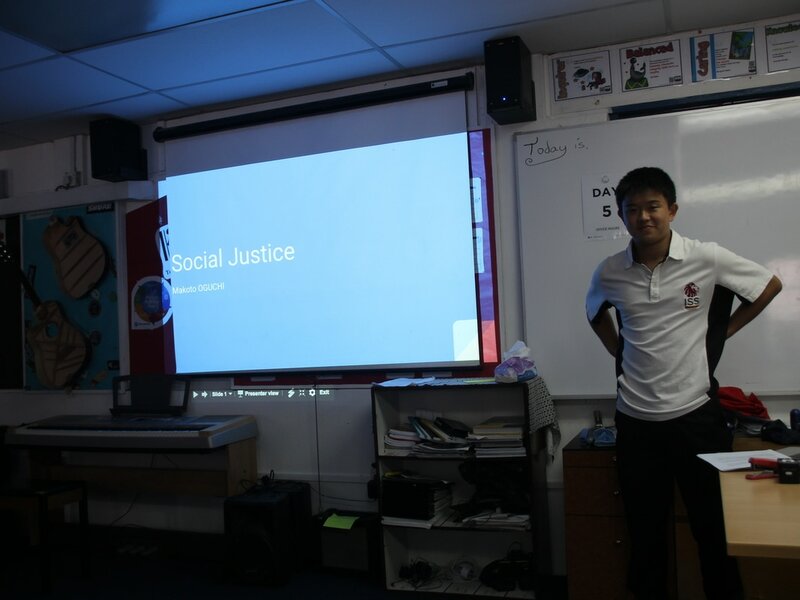 The G10 students started their ePortfolio presentations. Every student is enlightening and giving fasinating insights with their project. Check up next week with their progress. 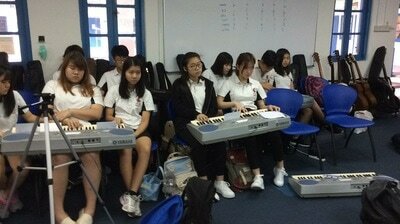 Our G11 students continued the exploration into world musical cultures. In particular to understanding polyrhythmic techniques. 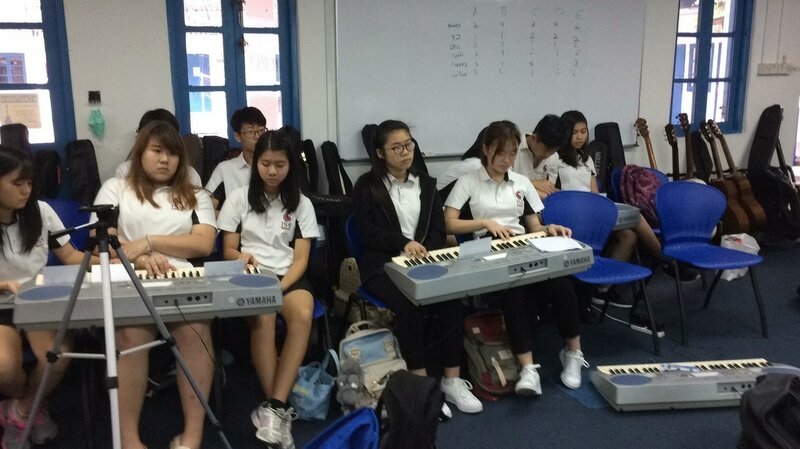 The student came up with their own short polyrhythmic pieces of music demonstrating the layers to combine to create the piece of music. 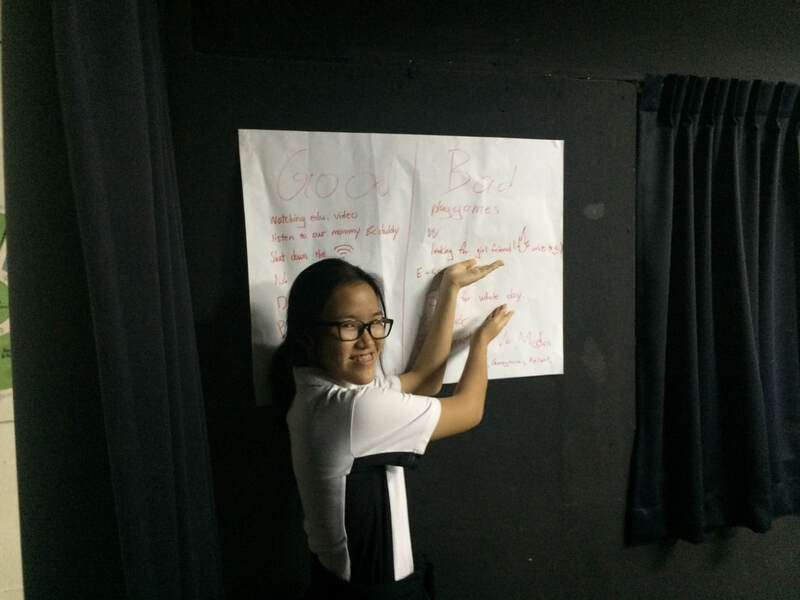 The G9 ESL students have started their Rock/Pop module. They have been learning the skills to becoming a drummer using Musical Futures "Just Play" techniques. 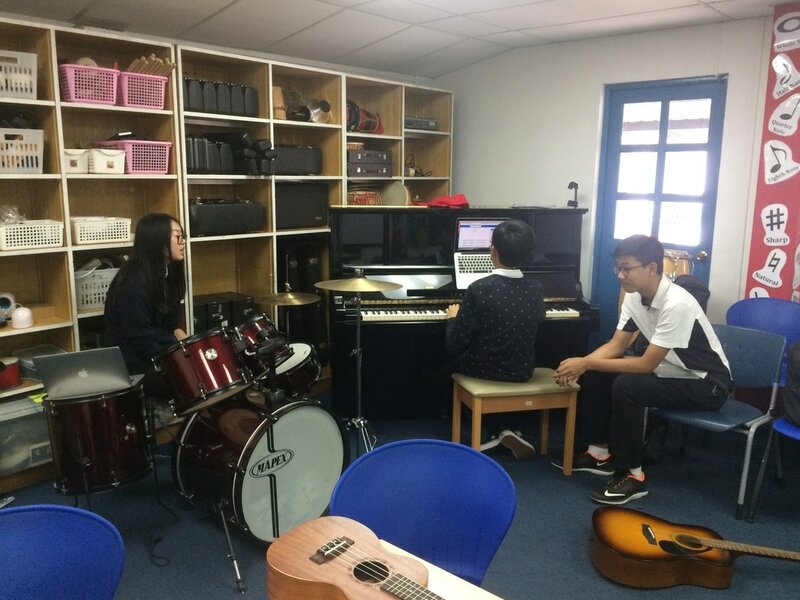 G9 have composed their own Radio Jingle as the final part of their songwriting course. 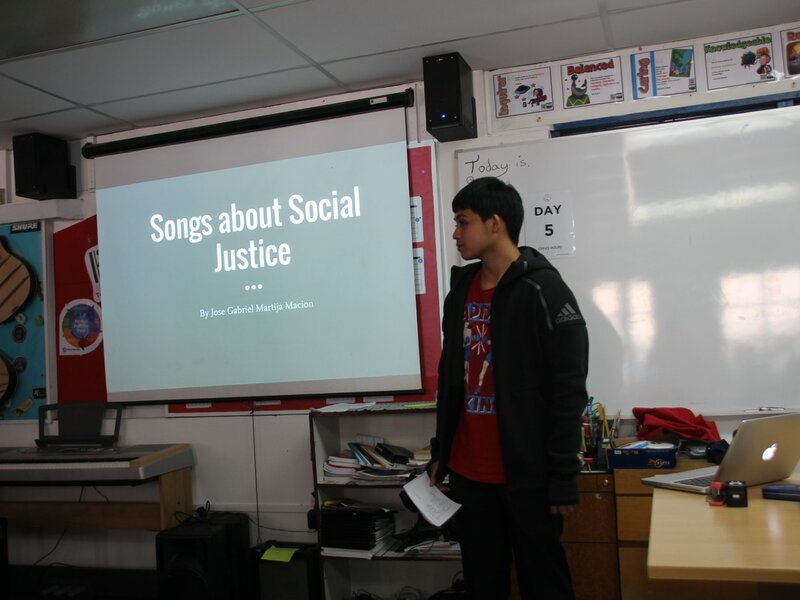 They were given a product that they had to write a 30 second radio jingle for using Garageband as part of this process. 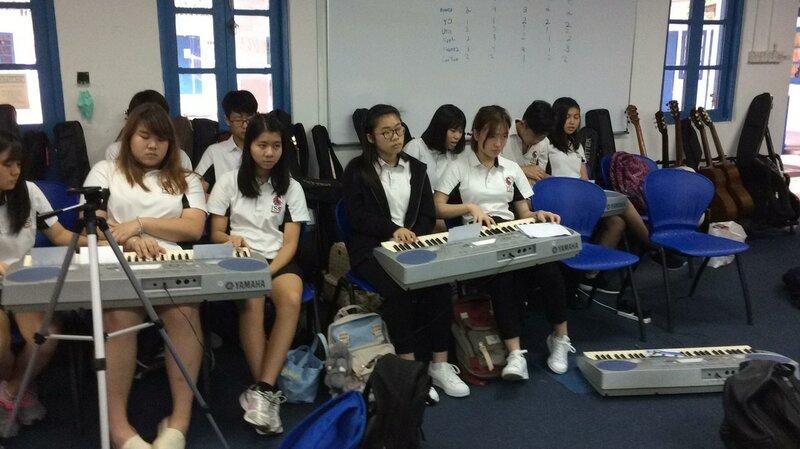 This week our grade 11 students had the fantastic opportunity of showing their musical instruments and their musical playing skills to the grade 3 students. After a short introduction the grade 3 students explored in groups the instruments with the grade 11 students. 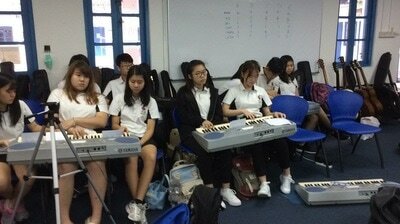 The grade 11 students demonstrated and answered questions about their playing and their instrument. 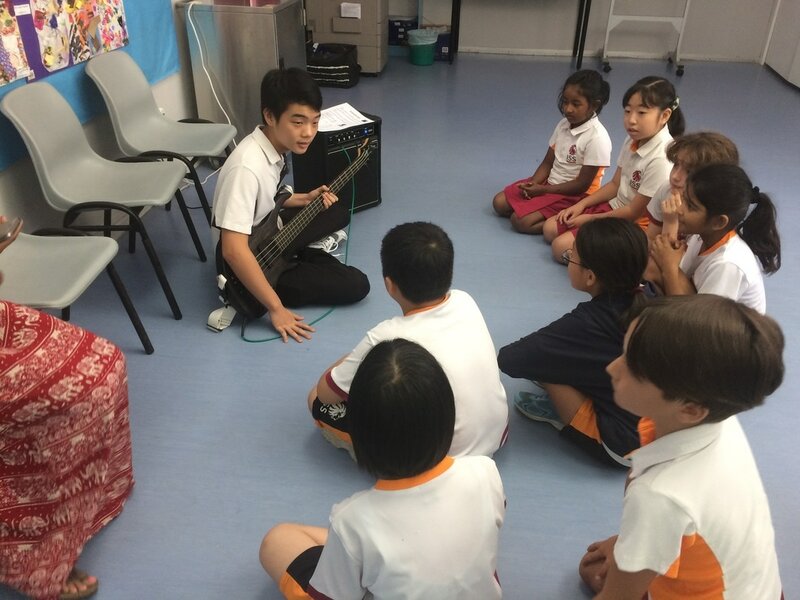 The grade 3 were able to ask questions about dynamics, timbre/tone colour, pitch. The grade 11 students included Uta, Naoki, Tristan, Youngjin, Mhairie Flor, Soo Yun and Siu Jun.